Fred was born in San Francisco, but grew up in Sebastopol, CA. He and wife, Leanne, reside in Modesto, CA. They have three daughters and three grandchildren. He earned a degree in “Bachelor of Arts in Economics” in 1972 from California State University, Long Beach, CA. He did post-graduate studies in Commodities, Stocks & Bonds and Real Estate. 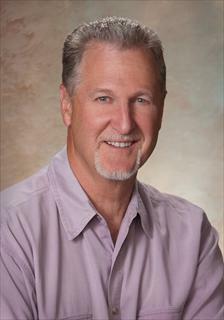 In 1977, he started his real estate profession in Modesto. At first it was listing & selling homes, ranchettes and small income properties. Over the last 30+ years he has broadened his expertise, knowledge and experience into Commercial Development, Farm & Land sales and Industrial Development, Leasing and complex 1031 Exchanges. When you need this kind of skill sets, let Fred work for you from start to finish. In 2012, Fred received the prestigious “Bart Bennett Memorial Award for Outstanding Community Service”. His vision has always been to provide shelter to those in greatest need, without expectation of personal gain. So in 2001, he started and created the annual “Bringing Them Home” fundraiser concert, to benefit Community Housing & Shelter Services in Modesto. This event raises Thousands of Dollars that stays in our community, helping provide emergency shelter to homeless families with children.